I’m completely clueless about what to wear. You might have the same problem! 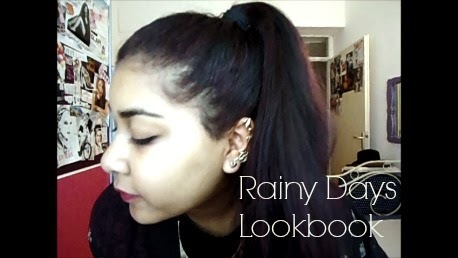 That’s why I thought it would be fun to film a ‘Rainy Days Lookbook’. or outfits I’m going to wear on rainy days. You can watch the video here on Lilly & Vannah, the channel and blog I share with my friend! I hope you’ll be inspired by the looks! Previous Post Look Of The Day: Knee Socks!